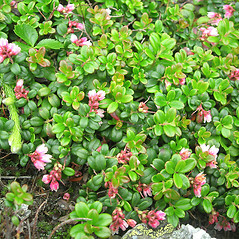 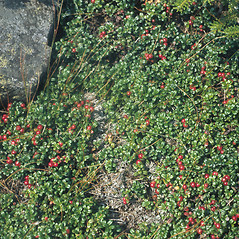 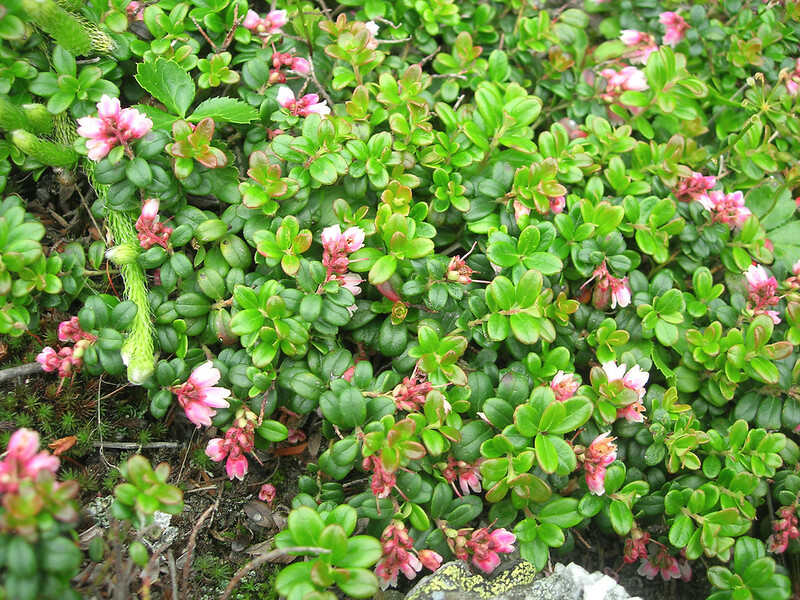 Mountain cranberry, a trailing shrub with affinities for cold temperatures and high elevations, is very rare in southern New England, but occurs throughout the northern latitudes of the world. 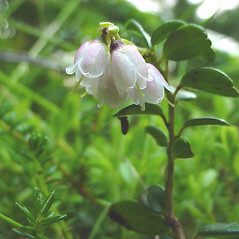 The four lobes of the tubular corolla are slit nearly halfway up the flower and the petal tips are slightly reflexed, giving the pinkish-white flowers a bell-like appearance. 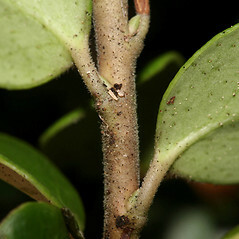 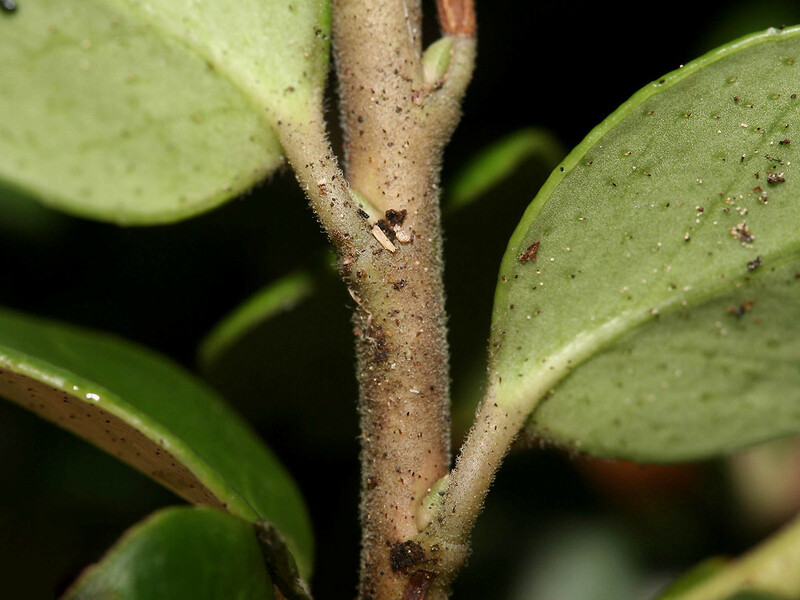 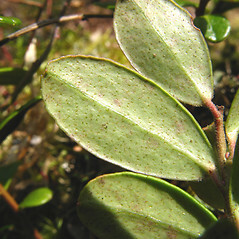 The undersides of the leaves are dotted with black glands. 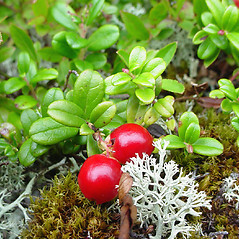 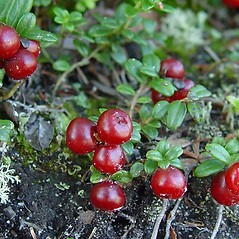 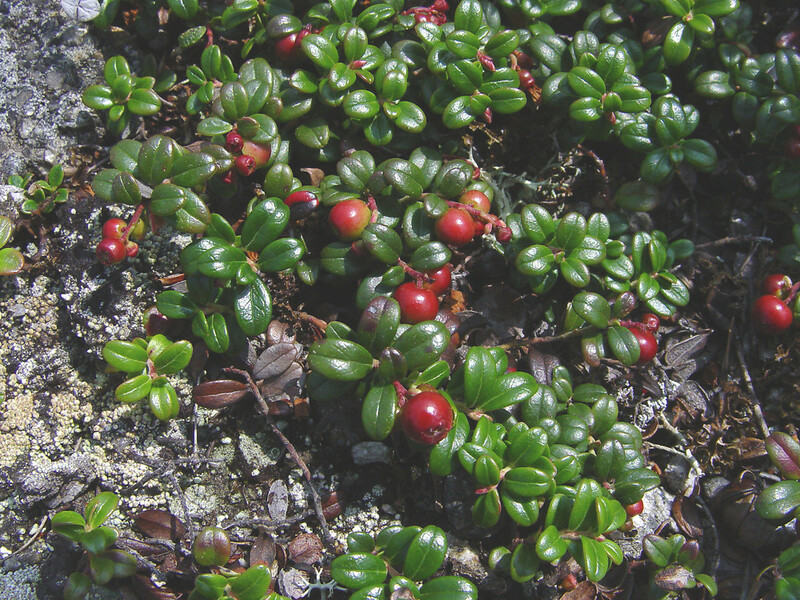 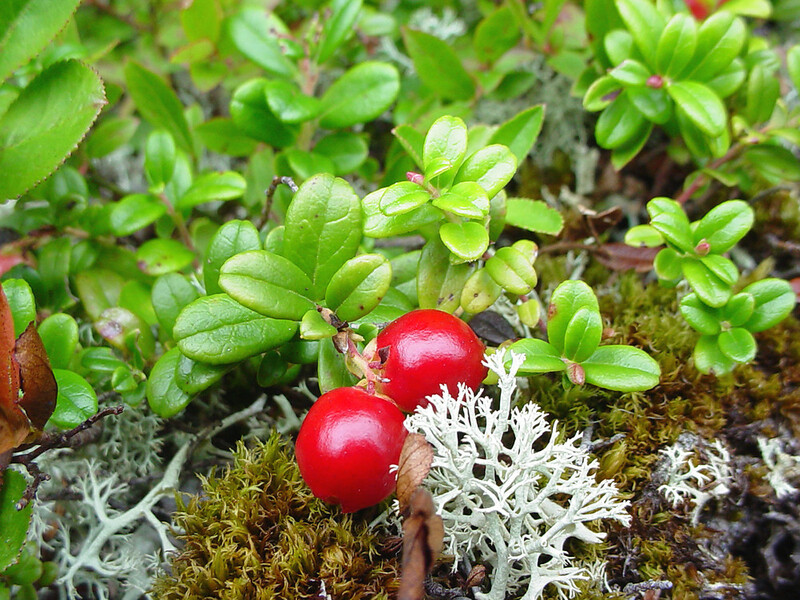 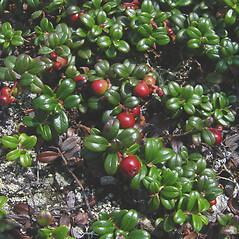 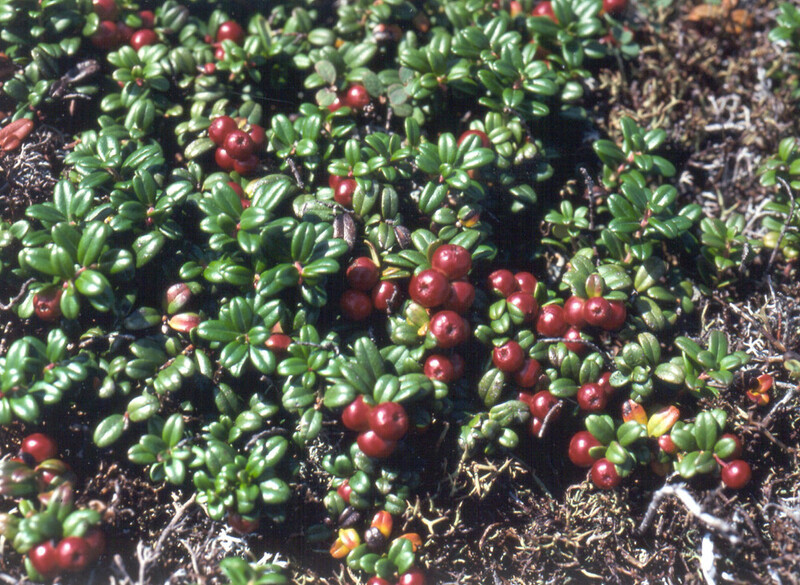 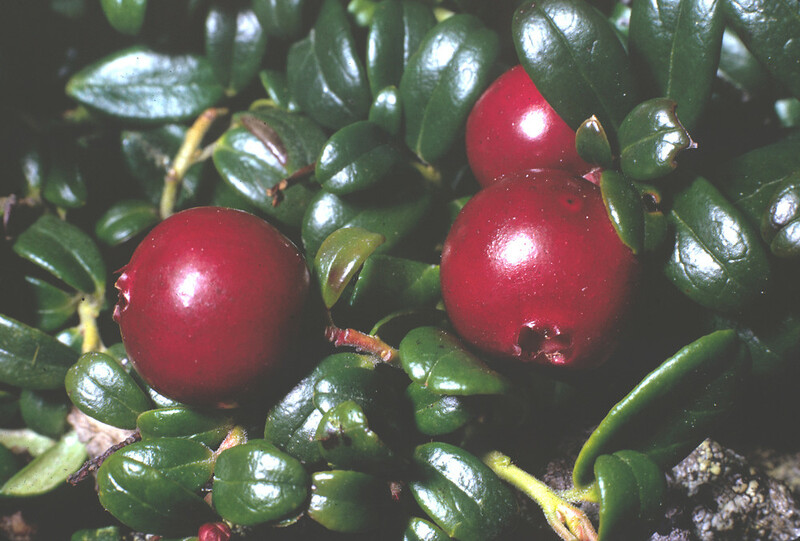 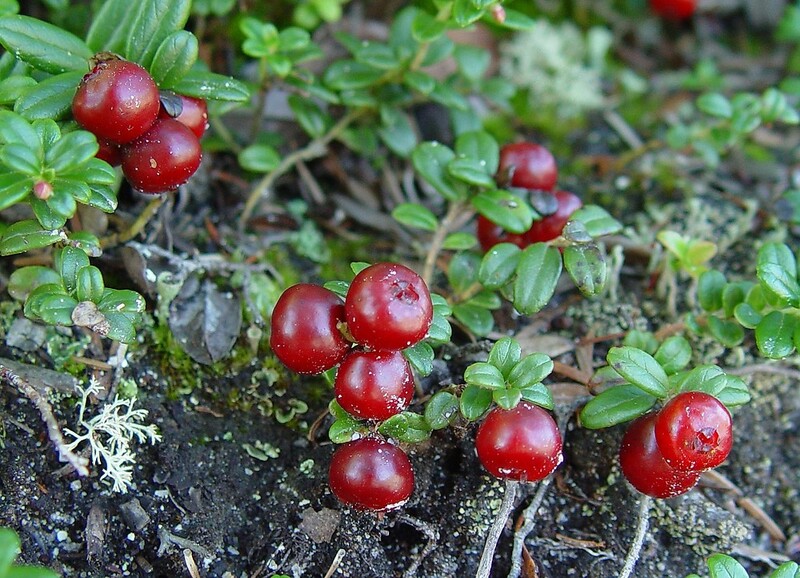 Although the tart fruits of mountain cranberry are not often picked in North America, they are commercially cultivated in many other countries including Russia and Sweden. 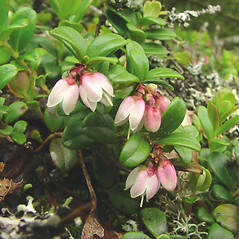 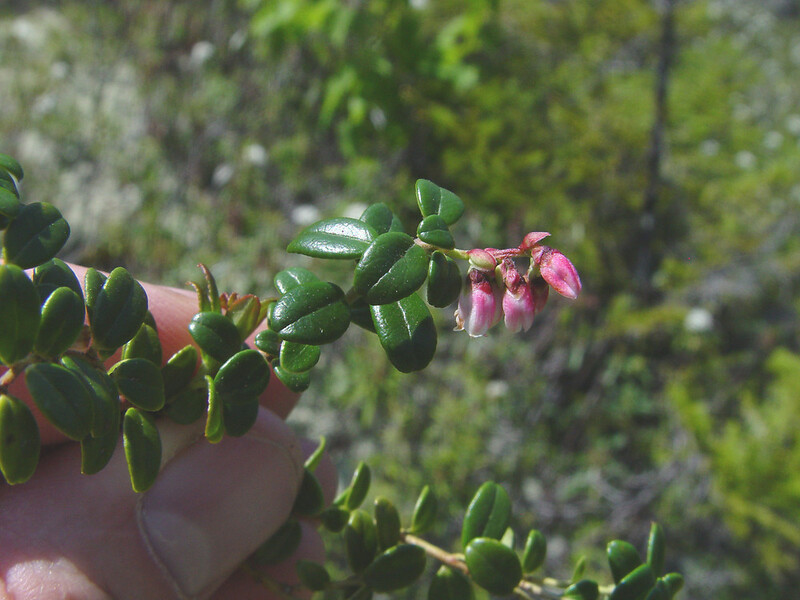 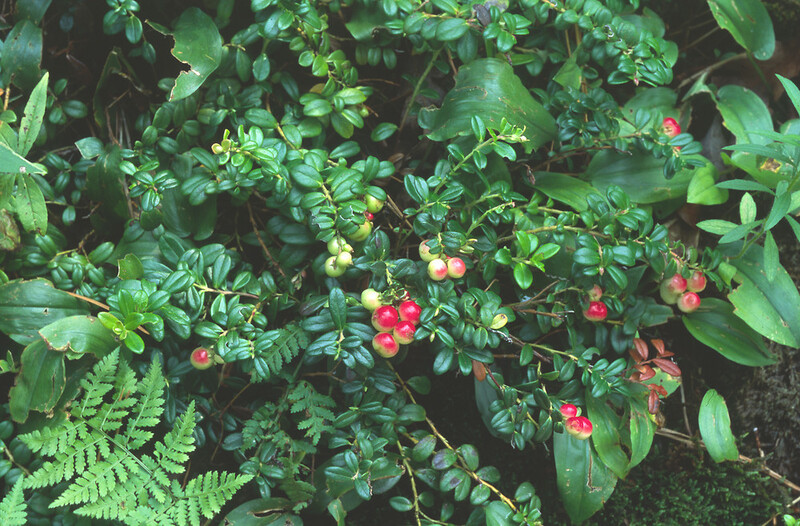 Vaccinium vitis-idaea var. 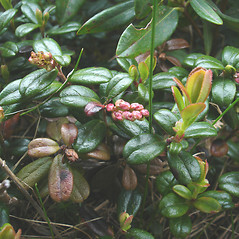 minus Lodd. 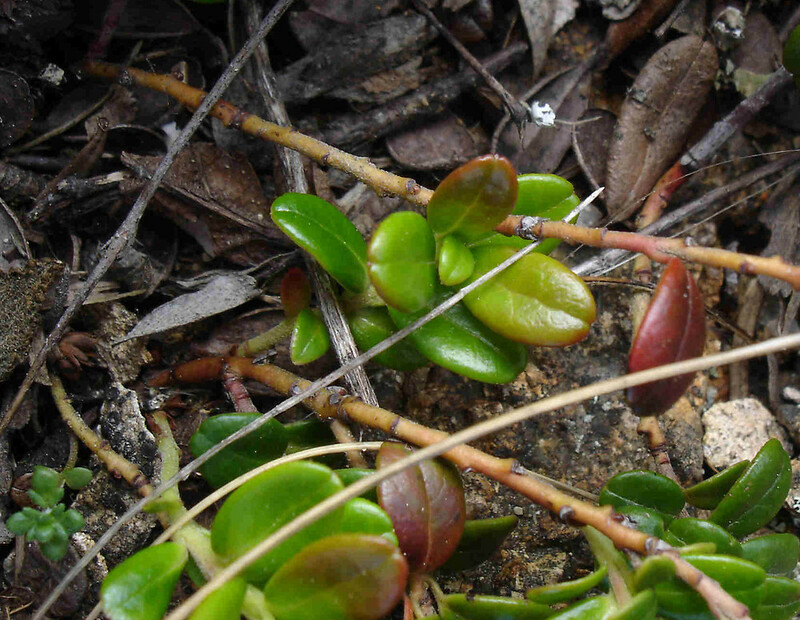 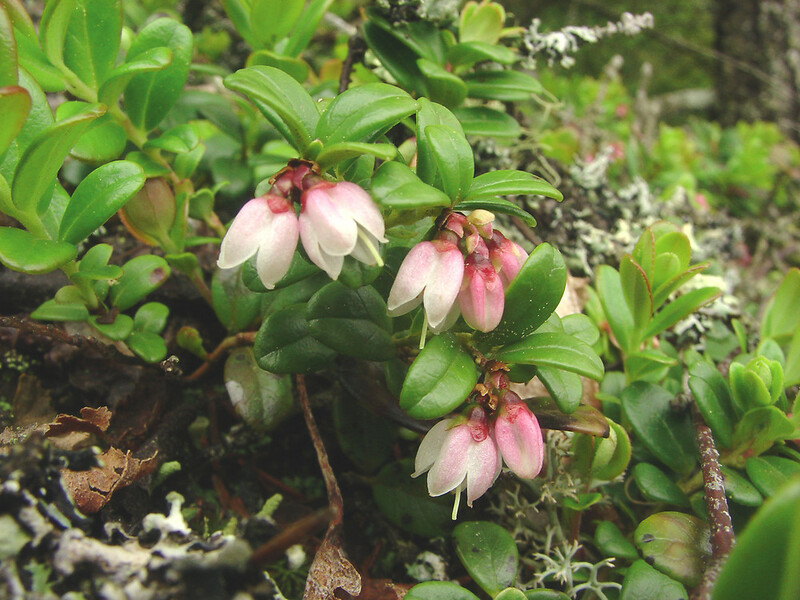 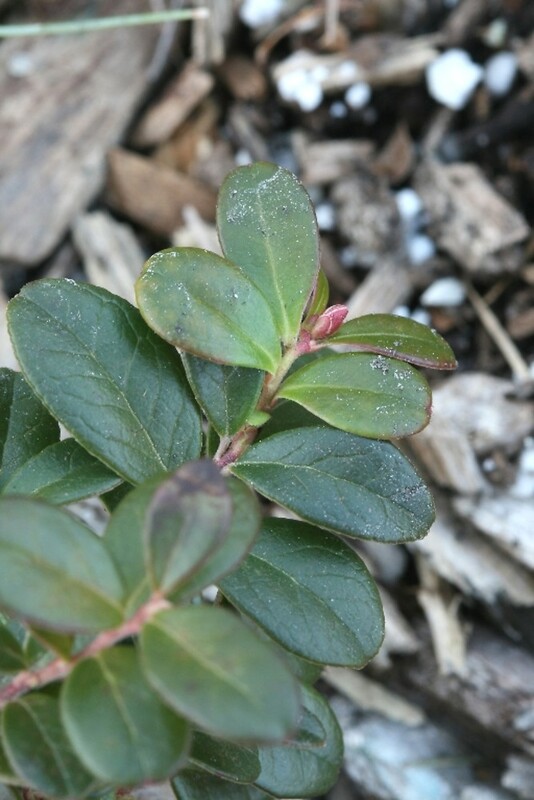 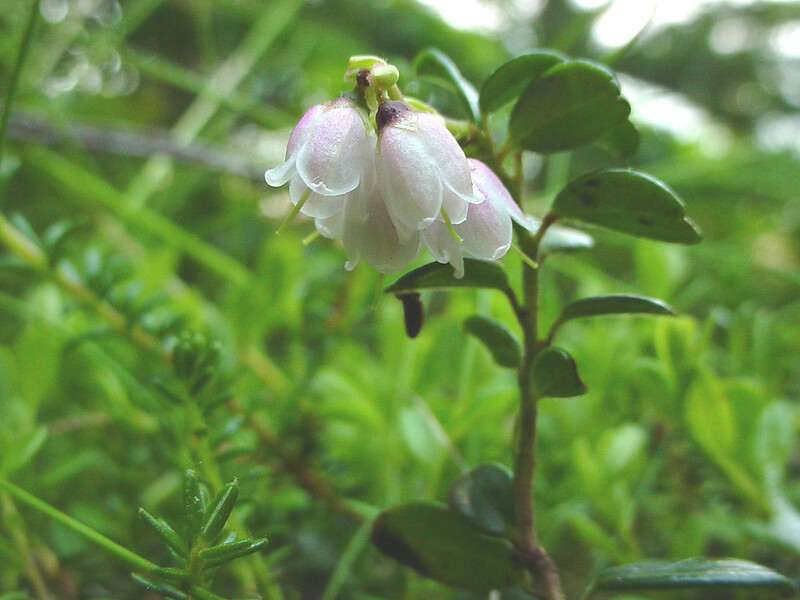 Our subspecies is Vaccinium vitis-idaea L. ssp. 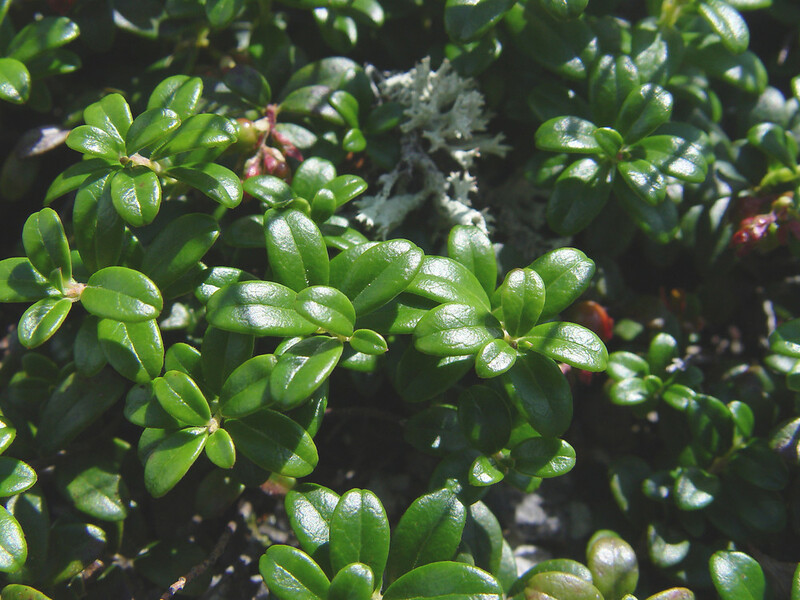 minus (Lodd.) 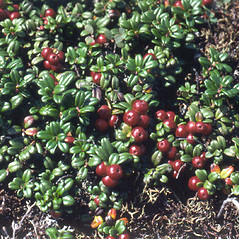 Hultén. 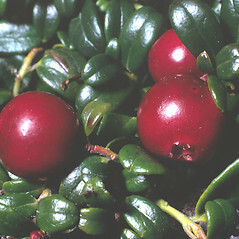 mountain cranberry. 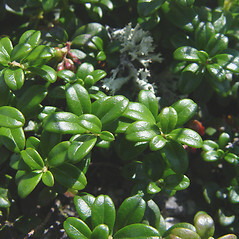 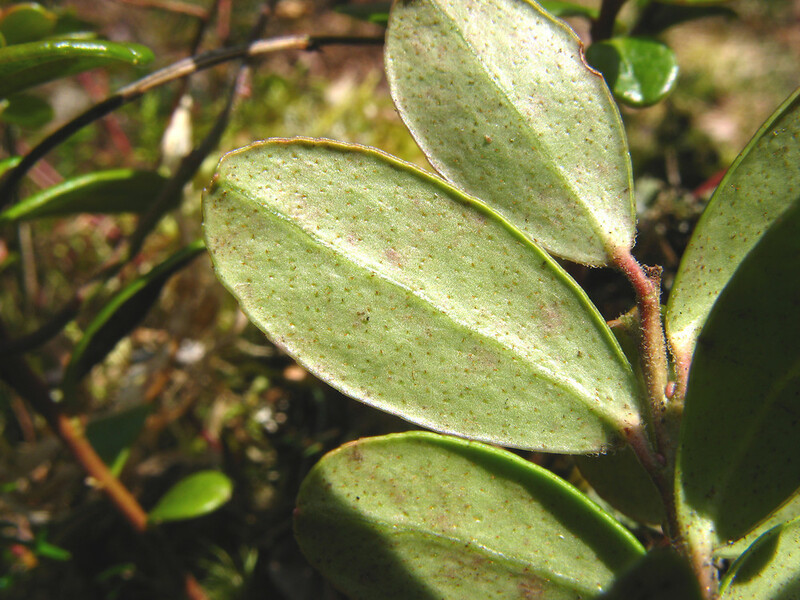 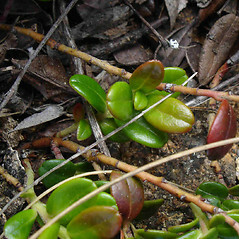 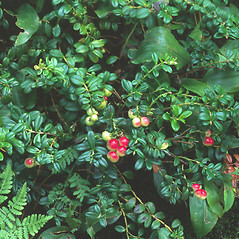 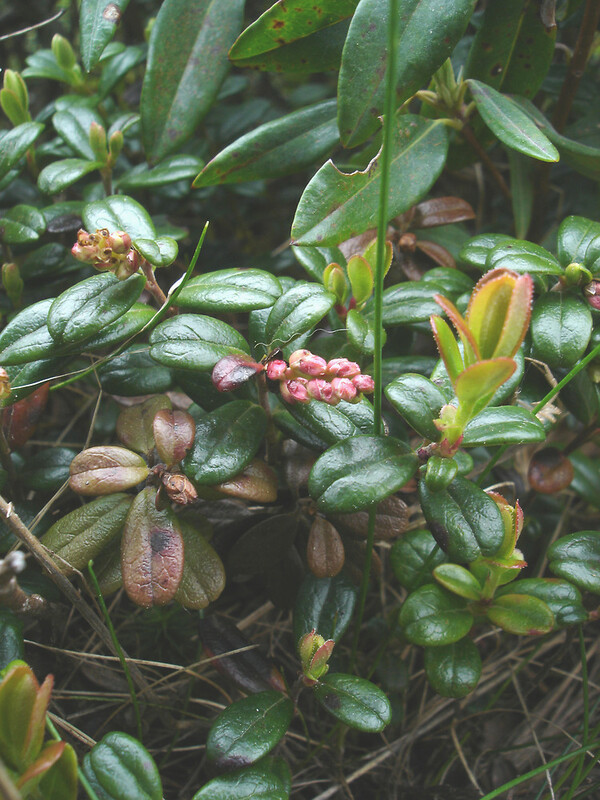 Vaccinium vitis-idaea L. var. 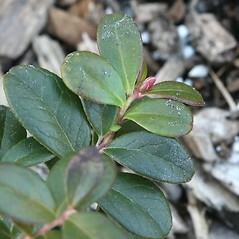 minus Lodd. 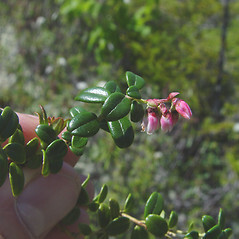 • CT, MA, ME, NH, VT; very rare in southern New England. 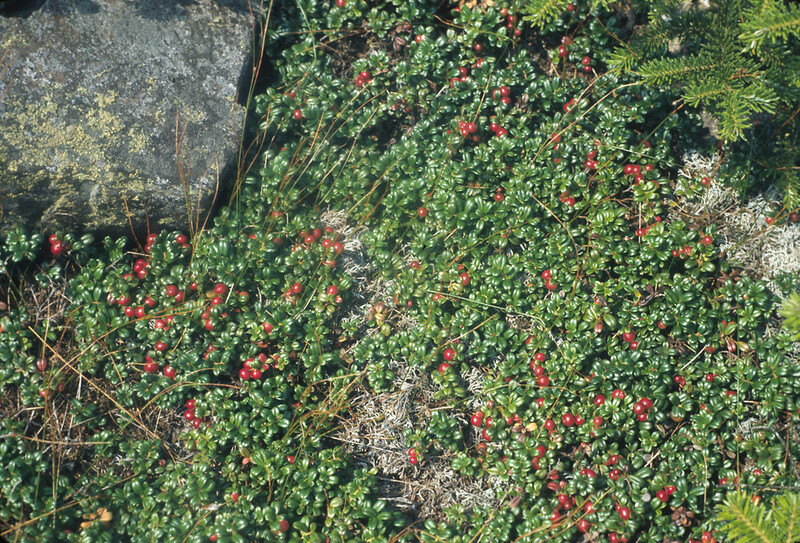 Open ridges, ledges, balds, and summits at middle to high elevations, occurring at lower elevations in coastal peatlands and lake shores in boreal regions, also historically known from a dry pasture and an evergreen forest in northeastern MA.